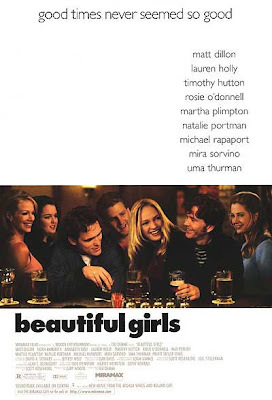 For my first Film Friday post I am choosing a somewhat obscure movie from 1996, “Beautiful Girls.” If you haven’t seen the movie don’t be afraid by the title…this isn’t no chick flick, it’s a guy movie all the way. The movie centers around a group of friends re-connecting for their 1st high school reunion. The main character, Willie (Timothy Hutton) is a bar-room piano player living in New York City who returns to his small northern hometown to find out how everything is the same…yet everything is different. The dialogue between Willie and his school buddies is what makes the movie great. 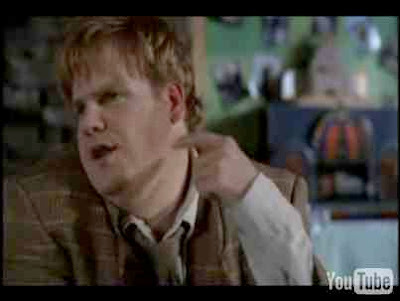 Michael Rapaport gives his best performance in this film and Matt Dillon is awesome as well. The scene in the diner with the engagement ring is pure gold. 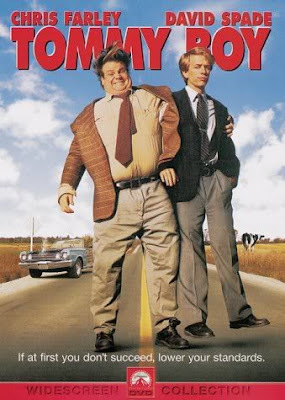 This movie introduced us to Natalie Portman and the movie is so good Rosie O’Donnell is funny. Uma Thurman is super hot in her role as the perfect girl…right below is a great scene when Uma meets the guys. If you haven’t seen this movie, put it at the top of your Netflix list, go to OnDemand or Redbox or whatever you need to do to watch this movie. The soundtrack is also great, featuring one of my favorite Pete Droge tunes.